3D Printing (3DP) is already transforming logistics. UPS, DHL, Fedex, TNT – and Amazon – are innovating, investing and building new partnerships to embed 3DP or Additive Manufacturing (ADM) into their services. DHL’s 2016 Logistics Trend Radar sees 3DP enabling more diverse manufacturing strategies, with a ‘high impact’ on future logistics operations, and predicts most companies will combine 3DP with mass production. Using 3DP to produce near, or at, the final destination can revolutionise service and repair networks, and transform the economics of customised and ‘make on demand’ products. In 2016, UPS and SAP announced a new distributed manufacturing network that allows companies to print and ship instantly. Early developments were concentrated in aerospace, automotive, defence, Industrial engineering and healthcare, plus a few consumer goods and technology brands. Important healthcare innovations included creating porous structures to replace human bones. Scans help match the final implant to the unique size and shape of the recipient (the symmetry of the human body is helpful here!). 3D Printed dental implants and joint replacements have paved the way for more complex bone reconstruction after cancer or major trauma and accidents. Designs use Biomimicry to copy the structure of bone, using tiny holes to reduce mass. In aerospace, EADS, GKN Aerospace and NASA are investing in R&D and substantial acquisitions. GE Aviation is already printing fuel nozzles for the LEAP family of jet engines that power next-generation Airbus, Boeing and COMAC jets. Automotive manufacturers are progressing from creating prototypes and concept designs to making components, with BMW using additive manufacturing for more than 500 water pump wheels for its racing cars. [i] Using 3DPs to create complex shapes can reduce the number of parts needed for (say) an injection nozzle, reducing weight and improving strength and reliability. A common application is for production moulds and tools, especially for injection moulding. 3DP moulds can integrate cooling channels to improve fluid flow: reducing production cycle times and improving quality. “Light, strong, cheap – pick the most important two” – perhaps that engineer’s adage will soon be extinct? For consumer products, designers, artisans and hobbyists were among the first on board, with a few bigger companies experimenting. Examples include Nokia, offering the facility to 3D print your personalised smartphone case, and Nike, testing market potential with a 3D printed football shoe, personalised with a custom-fit sole. Small-scale designers and ‘makers’ are creating furniture, lighting, jewellery and decorative products. Many developments aim to improve the finish quality and speed up production time. In June this year, GE Additive announced it had developed the world’s largest laser-powered 3D printer, able to print parts from titanium, aluminium and other metal powders. Investment is pouring into the sector, with Canon, HP, 3D Systems and Stratasys all developing commercial printers. Engineering, industrial, energy and technology companies see potential for 3DP to transform the provision of spare parts. Instead of centralised, slow-moving stocks (subject to relatively high Minimum Order Quantities) needing slow or expensive transport to reach the engineer, parts are printed near or at the repair site. With the only ‘stock’ being a design (in the cloud), repairing older equipment becomes cost-effective. Siemens has begun producing 3D printed spare parts and components for the rail industry, ‘ushering in a new era in flexibility and cost-effectiveness’. [vi] GE, one of the biggest manufacturers of railroad locomotives, has invested more than $1.5 billion in 3D printing technology and opened a Center for Additive Technology Advancement in Pittsburgh, Pennsylvania. Dematerialisation: Additive Manufacturing starts with powder, resin or liquid and uses only what is ‘embedded’ in the product. This is substantially more resource-efficient than traditional, ‘subtractive’ processes, often beginning with a billet or blank of solid material, then removing the unwanted mass to create the desired shape. Low entry costs disrupt the typical business model. Investment in a single machine is cheaper and quicker than either setting up a production line in-house, or trying to establish a multi-tier supply chain. 3DP automation replaces manual labour, thus reducing the marginal cost and improving the business case for local production. Making complex parts in a single process reduces failure levels, lowering the wastage costs and improving reliability and reputation. Eliminating tooling (for engineering), moulds and supports further reduces the footprint, cost, complexity and set-up times. Making locally reduces the energy and associated waste and pollution needed for production and transport along the supply chain. Developments for renewable and recycled 3DP materials will be a game-changer, underpinning the importance of 3DP as an enabling technology for the circular economy. Cost-effective ways to create products bespoke to each customer transforms the potential for ‘mass-customisation’. Shorter product life cycles benefit from rapid and low-cost proof of concept, testing and implementation for design changes, and no obsolete stock headaches. However, there are anxieties about protection of designs and intellectual property. Scanning an existing product can enable printing a direct copy – though it maybe inexact or imperfect. Customs authorities have concerns, as 3DP supply chains change the cross-border flows of tangible goods. 3D design skills are in demand and there is a concern about numbers of CAD and product designers to fill the emerging roles across the sectors. Predictions show education as a growth sector, so perhaps this will help fill the skills gap. As sub-components become ‘absorbed’ into a single product or part, upstream supply chains will shorten, needing fewer tiers of suppliers. Local ‘distributed manufacturing’ hubs will receive bulk materials, from a nearby source. Fewer supply tiers and reduced labour content encourage localisation and reduce the long-distance shipping element, for both source-destination distance and total supply chain miles (you may recall the recent story of the crankshaft in BMW’s Mini, crossing the channel three times in a 2000-mile journey from source to final assembly[vii]). 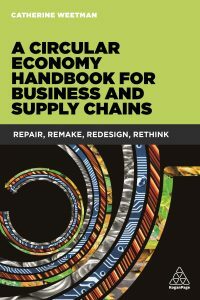 Recycled materials will increasingly replace finite, virgin sources as companies adopt circular economy approaches to secure their long-term supplies. New, local, reverse logistics flows will transport those materials from specialist resource recovery providers like Veolia and Sita. Making slow moving items ‘on demand’ means less stock of finished products, and a movement to ‘batch size one’ instead of infrequent, higher volume production runs will further reduce safety and cycle stock for raw materials and production components. Increased ease of repair, with the ability to print parts on demand and locally (combined with the trend for service and performance contracts instead of ‘ownership’ models) will see new service networks appearing: either in-house or through a service provider. Perhaps that’s what Amazon has in mind for its recently patented 3D Printing-capable mobile trucks? DHL’s Logistics Trend Radar[viii] assesses 3DP as ‘high disruption’, and ‘relevant in 5 years’. Signals of interest in 3DP from major global logistics providers highlight its significant impact on their traditional service offer. Respondents to a PWC survey in 2014 said the biggest disruptive effect of 3DP on US manufacturing would be ‘restructured supply chains’. [ix] As 3DP ‘scales up’ across the sectors, key development areas will include the range of feedstock materials and the ability to print with multiple materials. Printing components and products in a single step, without assembly, will disrupt value chains. Traditional models of multiple production stages and intermediate storage of parts and work-in-progress result in long lead times, high batch sizes and complex supply chains. The ideal 3DP value chain is simpler, shorter and faster: multiple stages become one production process, removing the need for intermediate stock and the resulting transport, storage and handling. 3DP is a general term for a range of techniques using specialist digital technology to ‘print’ a computer design, layer by layer. A wide variety of materials, including plastics, resins, wax, ceramics and metal, are transformed from powder or liquid to become a finished part or product.